Our goal is to connect people with the best local experts. We scored carpet cleaners on more than 25 variables across five categories, and analysed the results to give you a hand-picked list of the best carpet cleaners in Spokane, WA. Aleser Carpet Cleaning takes the stress and worry out of keeping all kinds of carpets fresh, clean, and beautiful year after year. Every member of the team understands that carpet is a valuable investment for any home or business owner, so they use only the highest grade of stain removers, cleaning solutions, and technologies to get deep down into fibers and lift away even the most stubborn dirt, spills, odors, and pet stains. 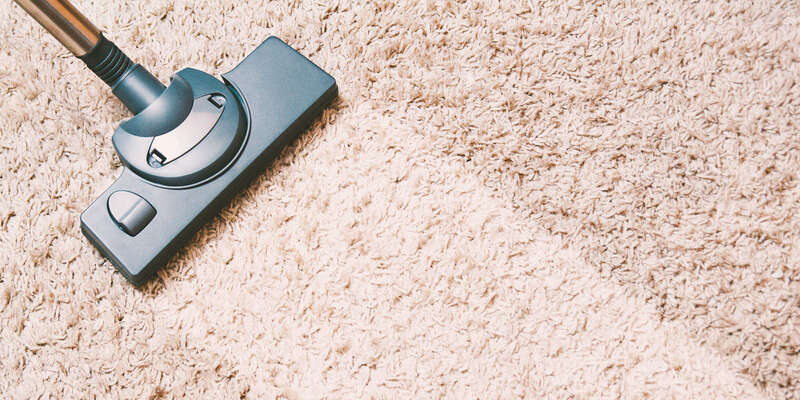 From industrial-grade office carpets to delicate handmade area rugs, the cleaners use the most effective solutions and equipment to ensure great results every time. The company also offers professional upholstery cleaning to keep sofas, loveseats, ottomans, and chairs looking good as new. Bigfoot Carpet Cleaning is owned and operated by Andrew Stapf, who is licensed and insured and has more than five years of experience in professional carpet cleaning. The company serves the greater Spokane area of Washington. Their carpet cleaning process involves three steps. The first step is the application of a non-toxic, eco-friendly spray that breaks down dirt and oils, which is followed by the high-power Whittaker scrubbing machine that agitates and separates dirt particles from the carpet fibers. Finally, the steam and vacuum wand is used to remove the dirt and odors. They can also repair carpet and remove water. Clean Machine Restoration LLC provides carpet cleaning in the community of Spokane. Customers hire the group for timely delivery of super clean carpets, and the company's highly trained and certified professionals use a truck-mounted hot water extraction system for excellent results on any carpet. Services are available every day of the week, and crews can also handle water and fire damage restoration, mold inspection and testing, mold remediation, and 24/7 emergency response. The family owned business prides itself on competitive pricing, even features a low-price guarantee, and actively gives back to local charities as well. Potential clients can read more about all services on Clean Machine Restoration's site and can also contact the team to request a free estimate. JET-Hot is one of the foremost residential and commercial carpet cleaning contractors in Spokane and the rest of northeastern America’s Inland Empire. The company has been part of the industry for more than two decades, and it is a homegrown trade with the knowledge and tools to deal with floor fabric issues amid the Pacific Northwest climate. The founder is at the forefront of operations, and he guarantees the work of the crew as proof of his commitment to service excellence and client satisfaction. The competent and carefully selected team offers professionalism, honesty, and respect, and it only uses environmentally sensitive formulations to deliver great, lasting results. JET-Hot also takes care of furniture upholstery, and it does not charge for the project consultation and estimate. Located in Spokane, Washington, JR Carpet Cleaning is a family owned business that provides carpet cleaning services in Spokane and the surrounding areas. The company puts customer satisfaction ahead of everything while providing exceptional service at a reasonable cost. They use the latest fast dry deep cleaning system that deep cleans carpets and the best eco-friendly cleaning solutions that not only clean better than chemicals but are safe for families and homes. JR's carpet and upholstery cleaning systems are recommended by leading manufacturers and cleaning experts. They also provide stain and odor removal, spot removal, oriental and area rug cleaning, and car details. They offer a 30-day money-back guarantee on their services and a 10% reward for every referral. Lovell’s Home & Office Maintenance is one of the most trusted contractors in Spokane. The firm has been part of the Inland Empire’s floor and furniture care industry for more than 25 years, and it continues to draw inspiration, insight, and operational direction from the founder. The company accommodates residential and commercial projects of varying sizes, and it uses safe formulations to make floor fabrics, tiles, and upholstery look and smell like new again. The team consists of trustworthy personnel with years of combined experience in promptly removing allergens, mites, bacteria, and dust from the surfaces, and it commits to clearing the site of job-related scrap upon completing the work. Lovell’s Home & Office Maintenance does not charge for the detailed, honest-to-goodness quote. Lund’s Carpet Cleaning has been providing the highest level of customer-focused service that exceeds expectations for nearly 20 years. The family-owned business specializes in performing an array of top-notch services that make client flooring and furnishings look and smell great. The Spokane-area company commits to cutting edge service delivery by featuring exceptionally trained, experienced technicians skilled at stain removal, cleaning high traffic areas, and pet odor elimination. Lund’s Carpet Cleaning has an outstanding reputation for performing carpeting, tile, stone, upholstery, and hardwood flooring cleaning that keeps homes clean and healthy. Residential and commercial customers with the most exacting standards trust the professionals at Lund’s Carpet Cleaning to remove dirt, bacteria, dust mites, and allergens from furnishings and flooring utilizing the most environmentally safe methods available. Radiant Rugs is a Spokane, WA-based and a locally owned carpet cleaning company that serves Spokane and its surrounding areas. It has been in operation for over three decades and is family owned and operated. Radiant Rugs is certified, licensed, and insured for all its operations and has been given an A+ score from the Better Business Bureau. Radiant Rugs only uses carpet cleaning methods approved by the EPA that are safe and environmentally friendly. Other services provided by Radiant Rugs in addition to carpet, rug, and upholstery cleaning include odor removal and tile cleaning. All estimates carried out prior to cleaning are free. Shur Kleen is a Spokane, Washington-based business that has been offering carpet cleaning services to homeowners and corporate customers there for more than 40 years. The company has a second location in Post Falls, Idaho. Shur Kleen also provides furniture and upholstery cleaning, care for area rugs of all types, pet stain removal, RV carpet and fabric cleaning, and more. Shur Kleen uses high-speed drying tools and green cleaning products that don't leave chemical build-up behind. The cleaning firm aims to treat customers like family, guarantee that a price quoted before a cleaning project will remain the same after the project is completed. Shur Kleen has received an A+++ rating from the Spokane Better Business Bureau. Spokane Clean Carpets and Upholstery Cleaning offers residential and commercial carpet cleaning services in the Spokane, Washington area. They focus on taking care of your cleaning needs so that you can relax and focus on all of the other things going on in your life. They have many years of experience and are locally owned and operated. Along with carpet cleaning, they also offer upholstery cleaning, pet stain and odor removal, mold and mildew removal, and tile and grout cleaning. Spokane Clean Carpets and Upholstery Cleaning is licensed and bonded to keep their customers safe and secure. They offer free quotes and consultations. Sterling Cleaning Services is one of the most trusted contractors in Spokane Valley. The company has been satisfying residential and commercial customers for more than a decade, and it is a family-owned and operated trade that shares the community’s vision of homes and businesses that are safe from unsightly and hazardous particles. The competent, reliable, and well-equipped team arrives and completes the job on time, and some of the tasks are restoring area rugs and upholstery, reinstalling carpets, and performing water-damage restoration. The crew commits to respecting the premises and the occupants, and it works closely with property managers, owners, tenants, and brokers. Sterling Cleaning Services gives a satisfaction guarantee, and it only uses green solutions. The owner holds an industry certification.